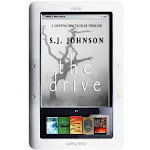 FREE Copy of ‘The Drive’ by S.J. Johnson !!! FREE – TODAY ONLY !!! I am very excited to be able to offer my Horror/Thriller Novel ‘The Drive’ for free to you today! Click or Scan this QRC Code and get your copy Now! All work contained within this publication are the under the sole ownership of the contained author and is protected under the United States copyright laws, the United States (Title 17, U.S. Code). Whole and/or partial portions of included works may not be copied, reproduced, distributed or publicly displayed without the express written consent of the author or copyright owner. Copyright © 1997-2012 S.J.E.J. All Rights Reserved. The following blog/creative works posting has been established for entertainment and review only. All works contained within are fictitious, any resemblance to persons living or dead is purely coincidental. I just endured a four day long editing marathon to finish up the final touches on my newest novel, ‘the drive’. It gets submitted today. Well, as soon as my cup of morning coffee and I build up the courage to click the ‘send’ button, anyway. I am really excited about this book, it has turned out to be something much better than I anticipated. Seriously. If all goes well, it should be available online by December 5th and everywhere else by December 16th. I appreciate your patience with me, in my pursuit of this project I realize I have completely neglected posting on Facebook and my blogs. I will try to be much better about that in the future. I am a Novelist, Writer, Playwright, all ’round keyboard tapper extraordinaire`. Mostly I just love to read and write. Although I am well known for my “Family Saga” novels, my real passion is “Horror Fiction”. But then again, they’re actually the same thing I suppose. I would like to sincerely thank you, for taking the time to read through a piece of my work, this newest story is quickly becoming one of my favorites. I am a published author currently looking for new literary Representation for mainstream commercial publication. I have been writing since 1984, with a strong passion for horror fiction and family saga. 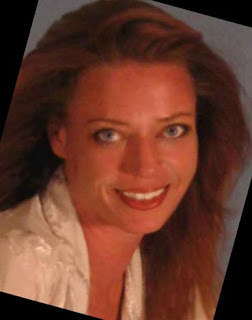 I have written numerous work for magazines, instruction manuals, brochures and periodical publications as well as for other extremely busy bloggers but I would prefer to utilize my talents as a horror fiction novelist. I have several finished novels, some that are published, “PAGES”, “GIFTS OF DEVOTION”, “SUMMER GARDEN”, “CASE FILE 13″, and “THE FAVOR” and are now available through Amazon Kindle publications. I also have many other books that I would love to see in publication as well, and many more that are currently in the progress of being completed. I have posted a sample of my work in this blog for your reading pleasure. So, read my work, feedback to your hearts content and if you like what I offer then tell a friend and spread the word!